Do you remember those pink and purple things called caboodles that were essentially just tackle boxes made all cutesy for girls? (Aside: I put this in the same condescending marketing category as the recent abomination that is “Legos for girls.” How insulting.) Well, sometime in the early 1990s, my sister and I got our very own caboodles. I’m fairly sure my sister kept things like hair ties, makeup, and jewelry in hers. I kept rocks in mine. 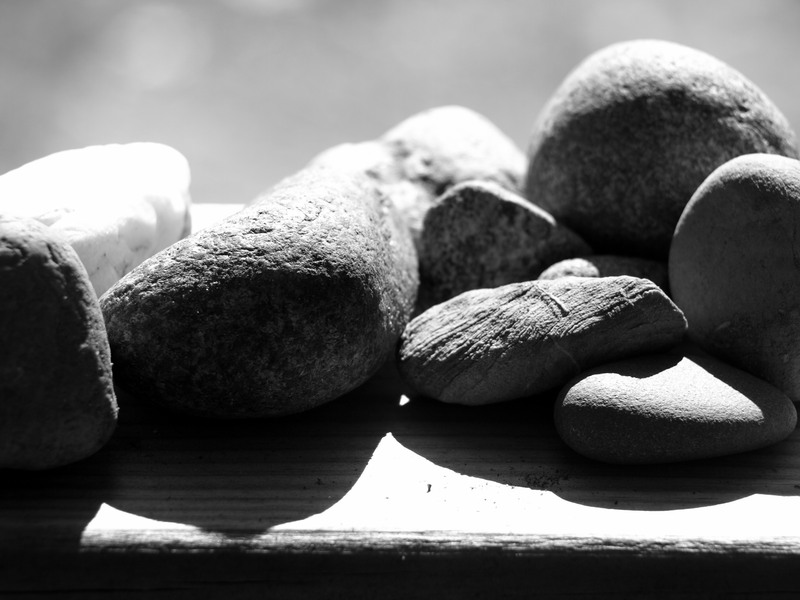 I find that the compulsion to collect rocks does not wane as I age. 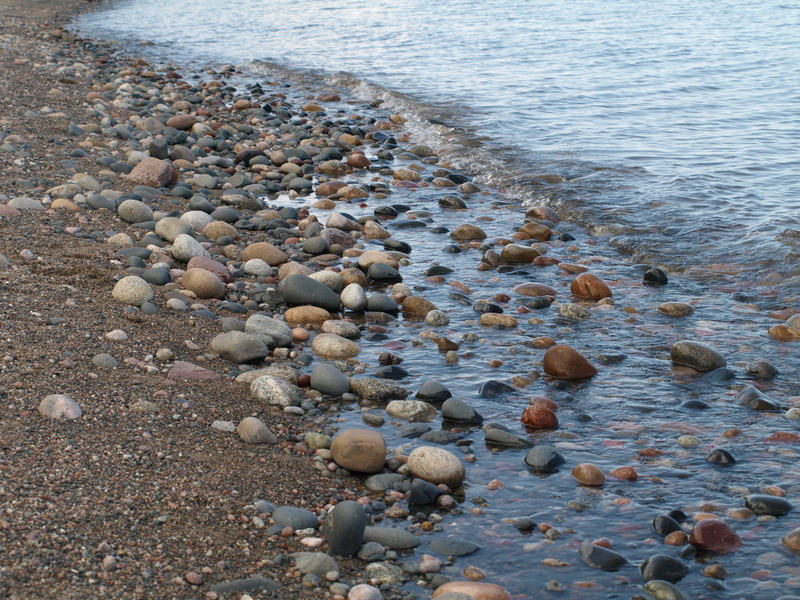 Despite a large collection that has survived into my adult life, I find it very difficult to keep myself from filling my pockets with rocks, especially those found on lakeshores. And I still feel the need to organize them. So I have a small bowl of rocks on the coffee table from Pt. Iroquois. And I have a giant pickle jar (like, we’re talking about a gallon here) of rocks gleaned from a particular fifteen or twenty foot stretch of Lake Louise. Not to mention the fossilized coral, which is kept separate. And various other rocks that find their way into an aquarium or on a shelf somewhere. 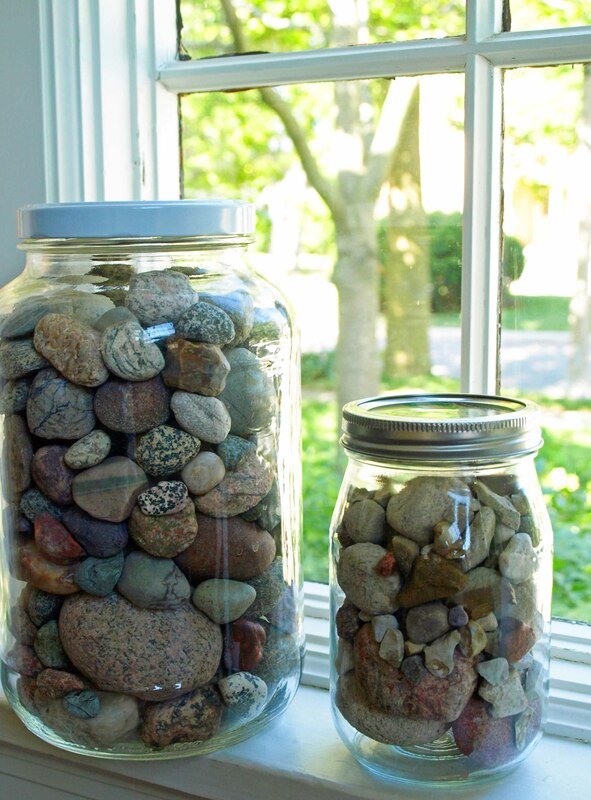 And despite the fact that my Lake Louise jar was full and I told myself in no uncertain terms that I did not need more rocks, I came home Saturday with 74 rocks and 25 fossils. Sunday night I scrubbed them all clean and laid them out on paper towels to dry. And now I’m in the market for another enormous pickle jar. 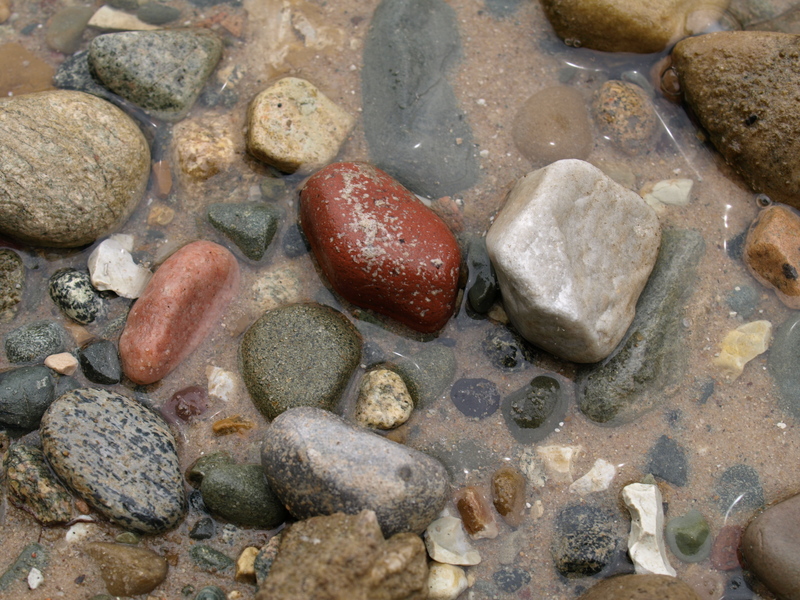 Why collect rocks? They are common. They are everywhere. I can see a rock on almost any trip to a natural area. I’m not expecting to find anything spectacular or rare, though perhaps one day I’ll stumble on an agate or a Petoskey stone. Why bring them home? I don’t really have the answer to this. Just as I don’t really have the answer to the question of why everything marketed to girls must be pink or purple. I just came to your blog after seeing your dress (which I liked!) on The Sew Weekly. I went to Lake Louise for 4 years in the 90s! Though, at the Methodist camp!